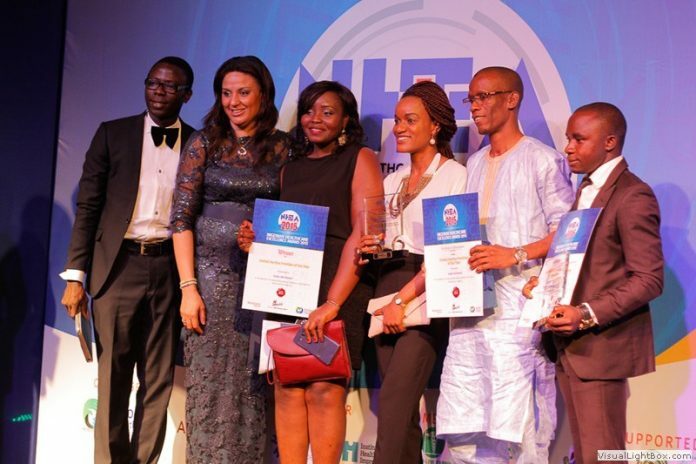 It was pay time for professional, hospitals and other stakeholders in the sector as the Nigerian Healthcare Excellence Awards (NHEA 2018) doled out honours to them in 27 different categories at its fifth ceremony in Lagos. The awards were given to them in recognition of their excellence in the provision of quality and affordable health service in the country. Prof. Abubakar’s award was given in recognition of the Hospital Paupers Fund he established at the FMC, Yola. The Hospital Paupers Fund was established in 2015. This fund is meant to cover the costs of hospital services for indigent citizens who cannot afford to pay for healthcare services. The fund ensures that nobody is denied care in FMC, Yola based on inability to pay. The rest are DoctorNow for the ‘Pharmaccess Innovative Healthcare Service Provider of the Year,’ Paelon Memorial Clinic for the SafeCare Facility of the Year etc. Speaking at the event, Dr. Anthony Omolola said, “We received over 2,500 nominations this year and over 60,000 votes on the NHEA online E-voting portal for all nominees.” These figures according to him are quite significant when compared to 1,500 nominations and 7,000 online votes recorded in 2017. Dr. Omolola also said that the NHEA physical verification teams which is composed of various healthcare professionals visited nominated healthcare facilities across the country. NHEA further graded the facilities visited based on set criteria and documents sent by each nominee. The combination of the scores and online voting were used by the Jury to determine the winner of each category. Dr. Omolola also informed the audience of the decision to begin NHEA-Nominees CSR Partnership Project. This corporate social responsibility project will entail working with one or a group of nominees to execute community-based projects to enhance and bring succour to the less privileged in the society. Dr. Shola Alabi, NHEA Project Coordinator, called on winners to continue to strive for greater excellence in their provision of quality and affordable healthcare. NHEA 2018 was supported by Pharmaccess Foundation and TStv who was the major media partner for 2018. The award is organized by Global Health Projects and Resources (GHPR) in collaboration with Anadach USA.